We contnue here with more products and information on topical anti inflammatory over-the-counter analgesics. The topical pain relief products here, such as Hyland Mobisyl Body Calm First Aid Kit giving you an idea about differences between a brand or type vs another. Images below may lead to webpages for more information, or to Amazon where you can read through the reviews which is quite informative. Active ingredient of this topical analgesic: Menthol: 8%. This roll-on pain reliever is - according to the company - especially suitable to apply for arthritis, sprains, strains, bruises, pains of muscles, joints and minor aches. This analgesic product also contains ingredients such as glucosamine. See Amazon here for popular and great-rated Roll-On Stopain. The manufacturer recommends their hot cold therapy pack for sprains/swelling, post exercise soreness, arthritis and more. This re-usable pack freezes easy for the "cold therapy" or heats up in the microwave for the "hot therapy". See Here Amazon for the well-rated TheraPearl knee wrap. See here for re-usable round pearl pack. This Mobisyl pain relieving cream - or creme if you want - is quite suitable for painful muscles and joints. It penetrates deep through tissue to deliver relief. The product is made by the US-based company Ascher. The cream does not burn and is free of smell and can be used under clothing or bandages. - 8 ounce jar (= 226.8 grams). - With soothing Aloe Vera. - Grease-less, non-staining and odorless. - Does not burn, irritate or sting your skin. - also to use under clothing or bandages. What it does and how to use it. Apply the cream on the area where you feel the pain. You might do that 3 or 4 times a day. People has very good experiences with this creme, such as relieving arthritis pain in hands, fingers, neck, shoulder and knee joints, neuropathy burning feet. The company states that their creme is also quite suitable for bachache, lumbago, strains, bruises, neuralgia and sprains. Here's more information on topicals. Trolamine Salicylate (10%) - It is an organic, salt related compound and contributes ot the analgenic effect. In a study, a cream containing Trolamine Salicylate was found quite effective, and specifically for pain and stiffness in the hands, associated with osteoarthritis. Read here the abstract of the trolamine salicylate cream study. See Amazon here for the great-rated Mobisyl pain relieving cream. Another well-rated product: leg cramp cream Hyland's. Can be combined with other medications. The product contains 2.5 ounce (70.9 g) and should be quite suitable for the temporary symptomatic relief of cramps and pains in legs and calves. Should work fast, but that may be experienced differently. It warms a bit and is non-greasy. - Viscum Album 3X HPUS: pains in joints. "HPUS" stands for Homeopathic Pharmacopoeia of the United States. See Amazon here for thegreat-rated Hyland's leg cramp cream, 2.5 oz..
Or for the 3.5 oz. tube. This aches and pains topical cream contains 8fl.oz./236 ml and the main natural ingredients are essential oils and minerals such as Arnica Cream, Lemongrass, Methylsulphonylmethane (MSM), Shea butter. 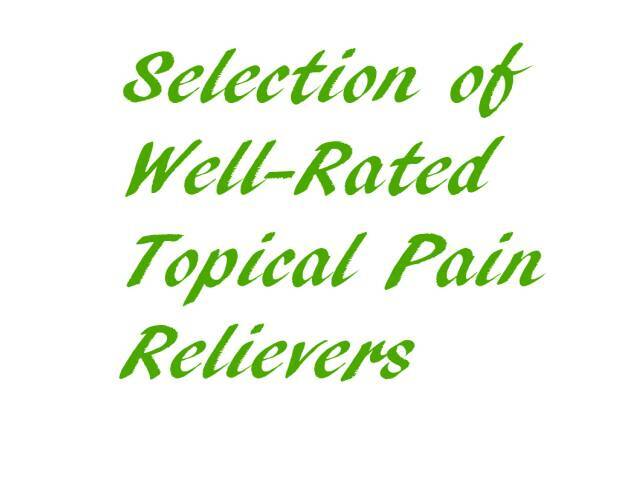 Those ingredients are also applied in other pain relief creams such as Penetrex. The product is meant to relief pain from disorder conditions such as sore muscles, joint pain - neuropathy - , tennis elbows and the like, and relieving those pains quickly. What this product makes it stand out among the many other pain relief topicals is that it may get absorbed faster into your skin, so you'll have faster relief and at the same time serves as a moisturizer by applying Shea butter in the cream. According to the company their new topical cream gets deep into sore muscles, tendons and joints, relieving pain there. In particular it might be effective in hands and feet as neuropathy strikes most often there. Other disorders to apply the topical might be golfer's elbow. sciatica pain and more. See Amazon here for the Body Calm Cream for Aches and Pains. These patches stay where you put them and should work up to 8 hours offering you a soothing relief that will not feel wet or slimy. See Amazon here for the back/shoulder patches. Or for the arm, neck and leg patches. - No questions asked refund guarantee, when not satisfied. See Amazon here for the extensive first aid kit. Active ingredients:Methyl Salicylate - 12.5% and Capsicum - 1%. For minor pain of strains and sprains. The balm should relaxe tight, aching muscles and is a warm-up support.